A few months ago we wanted a Dot with a clock for our master bathroom. So I went out and purchased an Amazon Echo Spot. It works well. 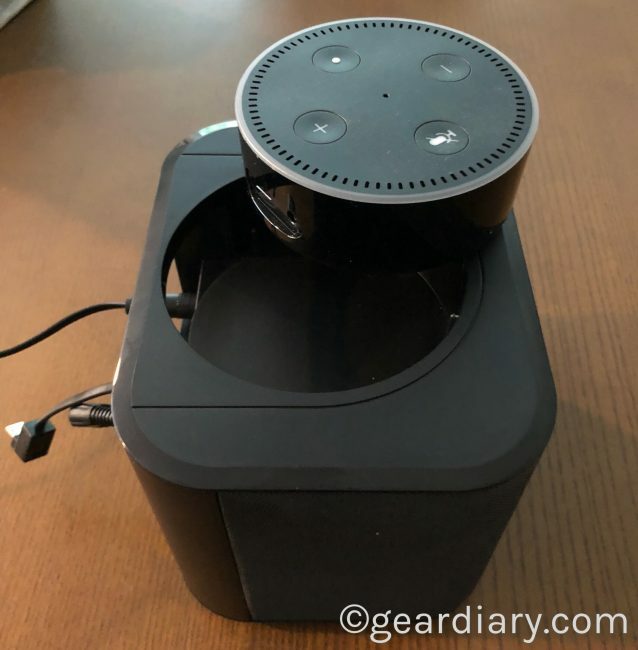 Still, even as I have expanded the Amazon Echo products in our home to include the Echo Spot and the Echo Cube, we have some Amazon Echo Dots on hand, and I wanted to make better use of them. 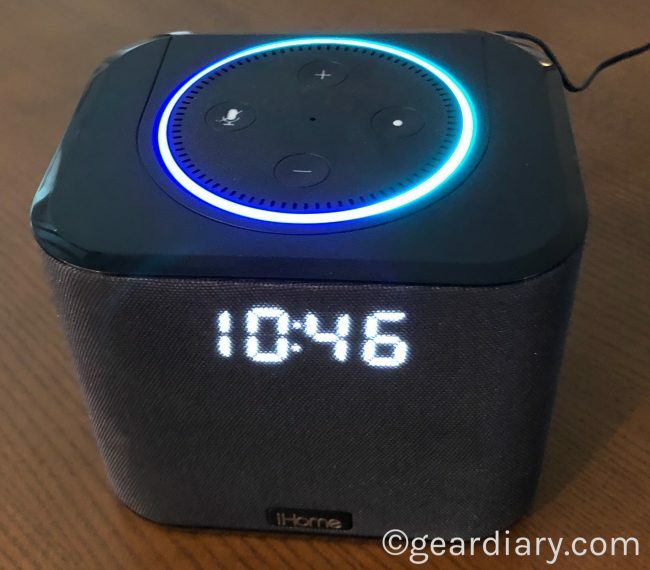 The iHome iAV2 is one great option for turning a second-generation Amazon Echo Dot into something more than it was originally intended. 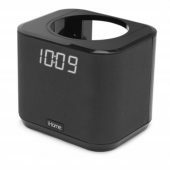 The iHome iAV2 is a dock for your dot. 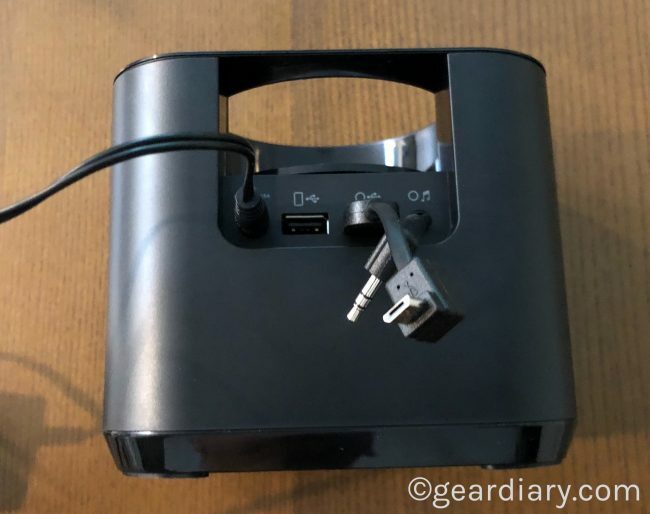 That means you simply place the Dot into the top of the iHome dock, plug the included cable into the Dot and the back of the iAV2 and then plug the included power adapter into the wall. The Dot then pulls its power from the same source powering the iAV2. That, of course, is just the beginning. The iAV2, which measures 5.32″ W x 4.57″ H x 5.20″ D and weighs just1.65 lbs, has a speaker built into it. 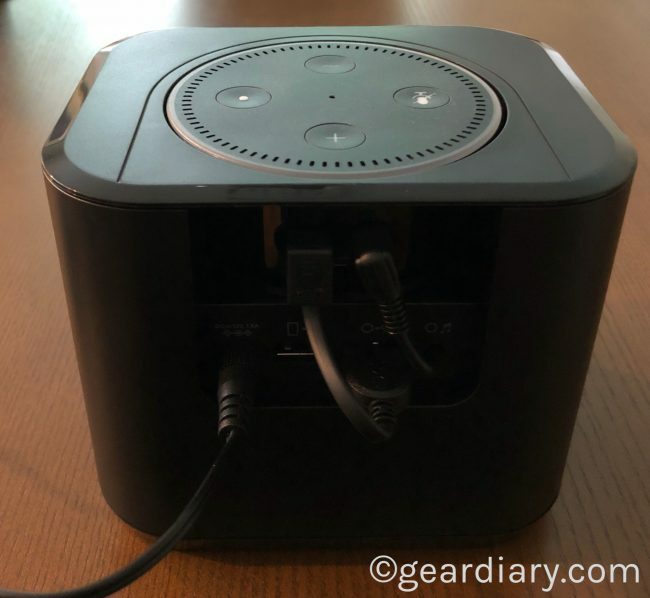 Connecting the included 3.5mm to 3.5mm cable between the iAV2 and the Echo Dot allows the speakers built into the dock to replace the small, anemic speaker on the Dot itself. (Previously, I had the Dot next to my bed plugged into a separate speaker.) 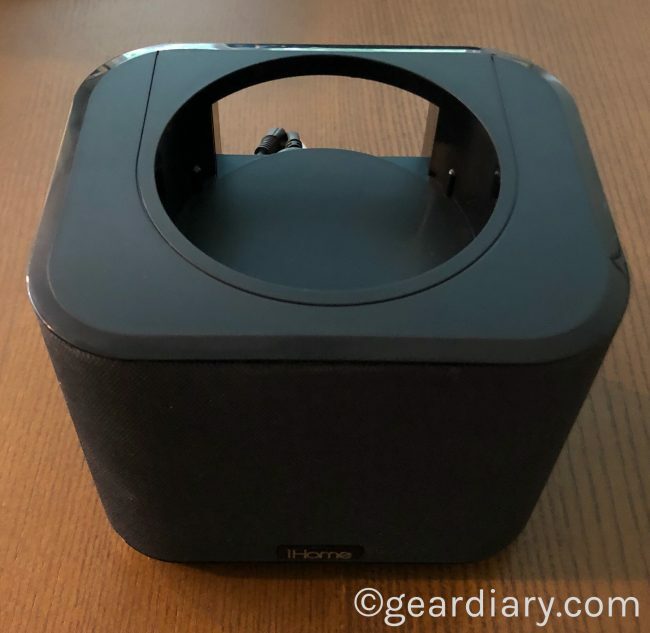 The speaker won’t win, and audiophile awards but it is far superior to what the Echo Dot delivers and, because the Dot is housed within the iAV2, it has a cleaner look than my former setup. Room-filling Sound: Enjoy better sound quality with Reson8 speaker chamber technology. You can also control the volume either by voice or by using the controls built into the top of the Amazon Echo Dot. All told the iAV2 and the Echo Dot become one product that offers Alexa voice control AND far superior sound. The iAV2 has a small digital display built into the top section of the speaker. When it is turned off the clock is hidden but, when turned on, it shines through the fabric covering the speaker. The clock has five levels of dimming control and can be adjusted by simply pressing the brightness button until you get the desired level. This is, of course, especially important if you are using the iAV2 next to your bed and don’t want to be kept up by the light. In addition to the 5 level dimmer, the large, white LED clock display can be toggled between a 12 hour and 24-hour display. 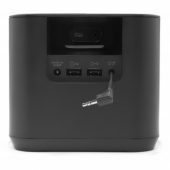 There is also a battery backup so that, if the power goes out, you won’t have to go through the process of resetting the clock. Considering the fact that we tend to lose power a few times a year, I appreciate this feature. Along side the dimming button you will also find the controls for setting the time. And there’s more. 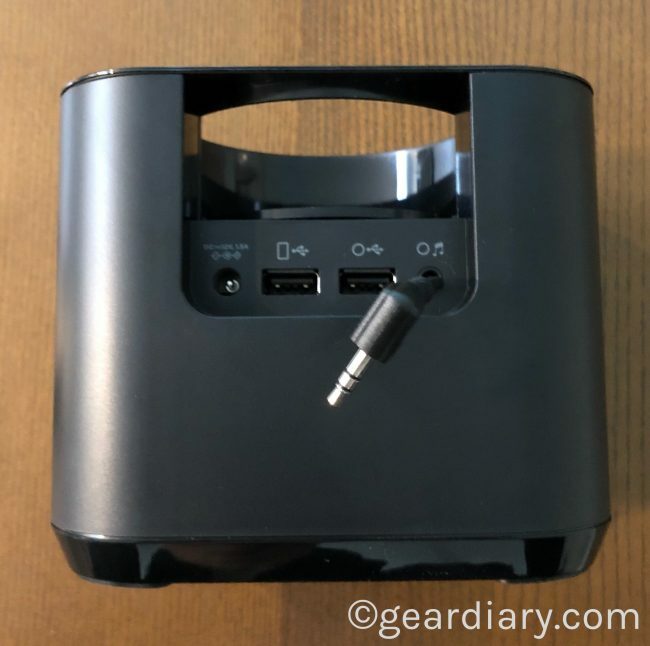 The back of the iAV2 not only has a USB port for powering the Amazon Echo Dot and an Aux-In for connecting the Dot to the speaker, but it also has a second USB port. That means you can connect a cable to the iAV2 and use it to charge your phone over night. It is a nice touch that helps further keep your bedside table neat or organized. Deliver an enhanced Echo Dot bedside experience with a dedicated clock display, 360 degree sound and convenient USB charging for your mobile devices. 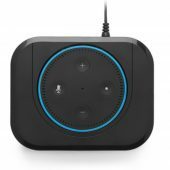 You could purchase an Amazon Echo Spot for about the same amount as the Echo Dot and the iAV2 but if you have an Amazon Echo Dot already this lets you get many of the features offered by the Spot. 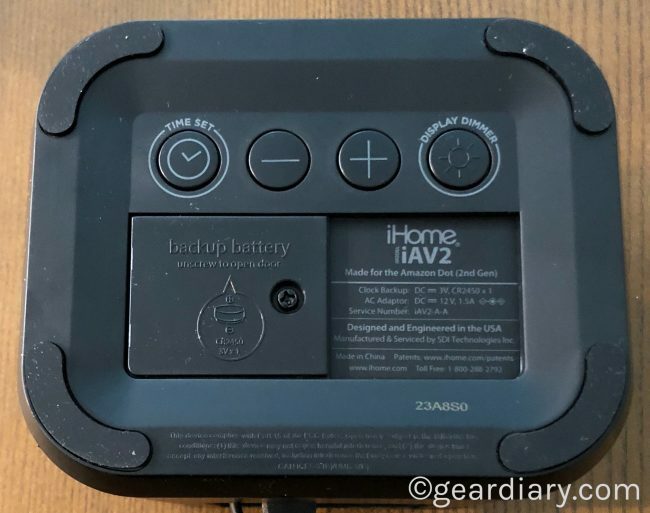 Also, the iAV2 sounds far better than the Spot while also giving you the ability to do things such as activate a sleep timer or set an alarm by voice. No, you don’t get the screen of the Echo Spot but, to be honest, we have never used the Spot for anything other than a clock. 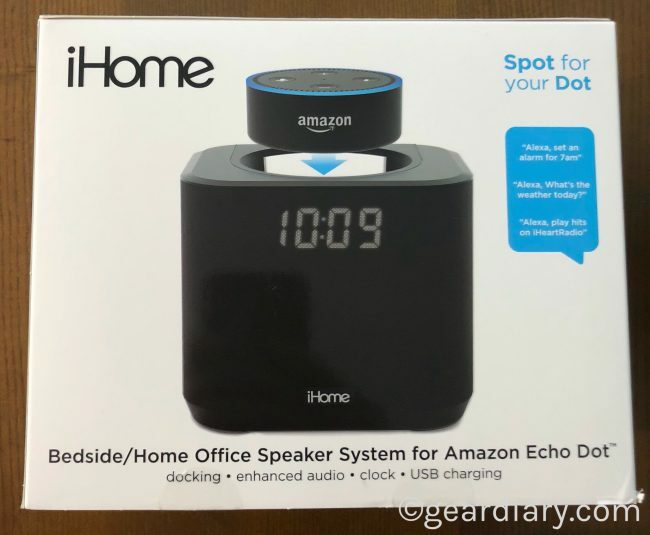 Docking Solution: Specially designed for the Amazon Echo Dot (works with 2nd Gen). 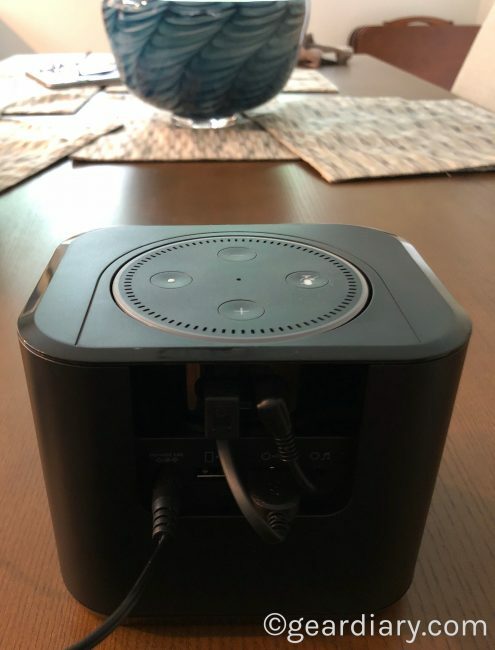 2 USB Ports + aux-in: Dedicated 1 Amp micro USB and aux-in connection for Amazon Echo Dot with additional 1 Amp USB port to charge other devices. Designer fabric grill + White LED: Dimmable LED with five levels of brightness control. 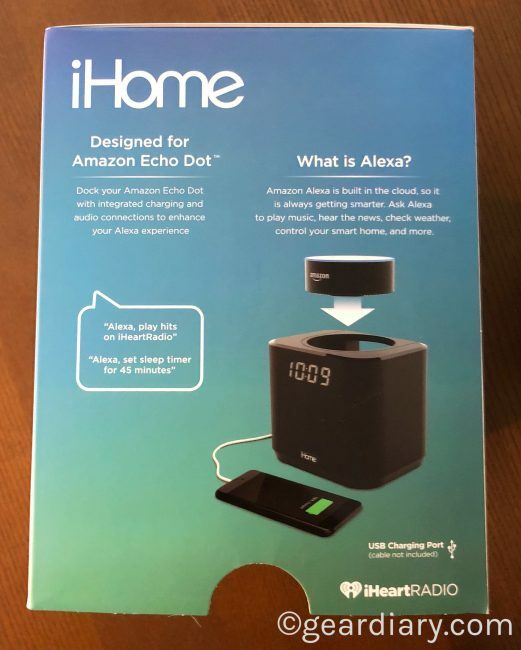 The iHome iAV2 is designed specifically to integrate Amazon Echo Dot Gen 2, and it does exactly what it promises. 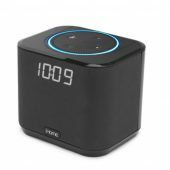 It serves as a dock for the Dot, provides a digital clock, offers far better sound than the Dot alone and it has an extra USB port for charging. It is a great bedside solution, and I’m digging it! At $69.99 it is a fairly inexpensive way to take the Dot you already have to new heights. Check it out here.